As we head out of the high traffic summer and into slow travel time, many beg the question, do I lower my rental home prices to draw customers in? Many individuals who host vacation rentals have to decide whether they should reduce the rent or risk having no one rent from you. 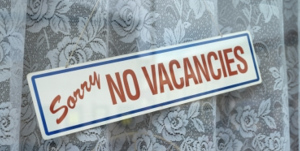 If you are experiencing this same issue, here are 4 tips that may be helpful for filling your vacation rental vacancies. In other words, don’t limit yourself to just one rental site. Instead post your rental listing on a variety of sites. For example, don’t limit your rental listing to just AirBnB. Consider using other credible sites such as HomeAway and Vacation Rentals By Owner. If you have been renting for a while now, chances are you may have had some recurring guests, or guests that were very pleased with their stay. In this case reaching out to past guests and offering a slight discount or free cleaning services may entice them to return. You can also give them the option to extend this promotion to their family and friends, as a form of word of mouth marketing. Marketing your vacation rental can be as easy as posting signs near your property to hanging up posters at locations such as real estate offices or local activity centers. Posting your short-term rental on free online ads can also prove to be a useful way to draw attention to your listing. If all else fails and you are still having difficulty renting out your property, you may want to considering lowering your rates. Although it is not ideal charging less than you feel you property is worth, it is better than losing the income all together.